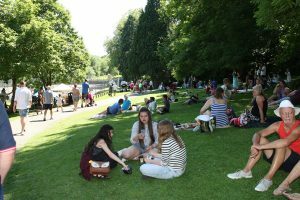 We are looking forward to building on last year’s success and attract up to one hundred local food and drink producers, organisations and charities at this year’s festival. On Saturday 16 June, 10am – 5pm, we will be providing stalls for producers to sell their products in the Lido Park and look forward to welcoming exhibitors to this summer’s Droitwich Spa Food and Drink Festival. This year we will also hold a smaller event on Sunday.